Make a stunning, 36"x36" quilt as you master free motion quilting with rulers. 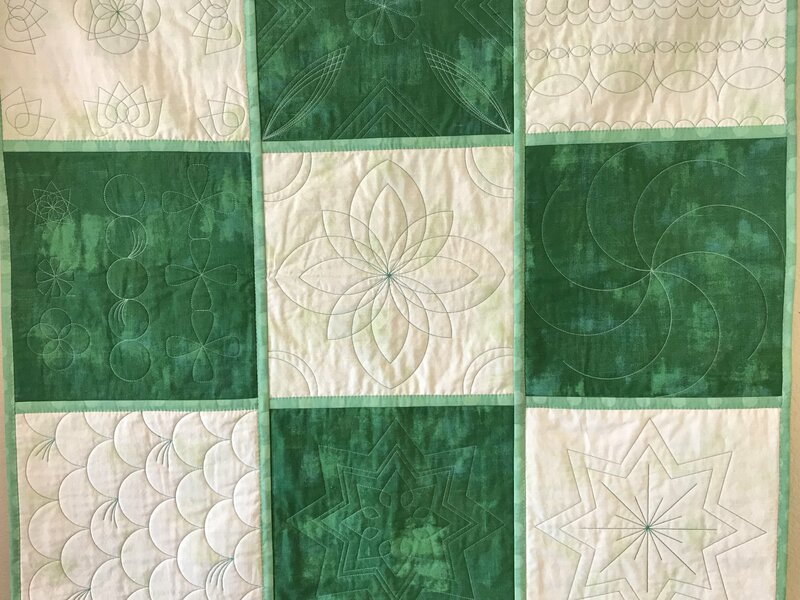 This is an 6-lesson quilt-as-you-go class, with the final class focused on joining your quilted pieces. We will use the Westalee Sampler Set #1, as well as the 12" arc ruler used in the Basic Ruler Class, to create all of the designs in the quilt, so you will learn how to get a variety of designs with just a few rulers. Requirements: You must know how to use the 12" arc ruler with a ruler foot on your machine. If you are not familiar with it, please enroll in the Basic Free Motion quilting with rulers class.